Construction is under way on One Lodha Place in Central Mumbai. Designed by Jay Berman, the building joins the World Towers— World One, World View, and World Crest and —to complete the 17-acre Lodha Place development master-planned by PCF&P. 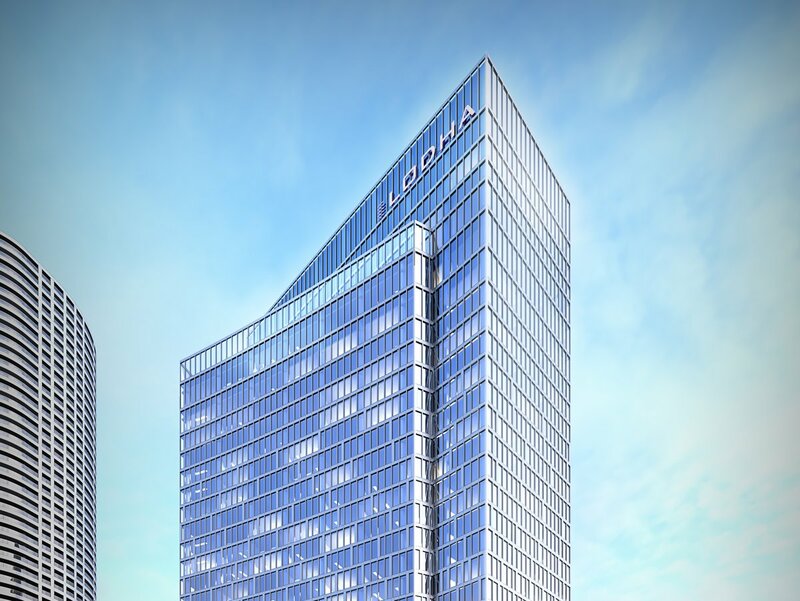 Conceived as Mumbai’s first Class A office tower designed to international standards, One Lodha Place comprises flexible column-free space, a range of amenities, state-of-the art technology, and sustainable building systems. Boutiques, restaurants, and cafés at the tower’s base—together with streetscape and plaza—provide additional amenity for office tenants while fulfilling the master plan’s promise to create a “place in the city” integrated with its surroundings.